Almost every business process is better when it’s digital. You wouldn’t create your P&L statement on ledger paper or keep your sales contacts in a Rolodex. So it stands to reason that the dusty suggestion box in the break room should go the way of the dial-up modem. Right? Wrong. The fundamental reason that most suggestion boxes fail to generate innovative ideas that produce results isn’t because they are analog. Simply recreating something in digital form isn’t what makes it better. Introducing an electronic suggestion box may seem to solve a few of its problems. It would make it easier for employees to give suggestions from anywhere. It might make it easier for someone to track suggestions. But are these the things that keep your suggestion box from being an effective way of gathering employee ideas for improvement? Probably not. The real problem is the idea of a box. Why do we put things in boxes? We put things in boxes to store them. When do we put things in boxes? We put things in boxes when we are not using them. Think about what the box metaphor signals to your team. Boxes are passive. They contain things, they don’t do things. The last place I’d want to put my best idea is in a box, be it physical or digital. Boxes contain things, they don't do things. 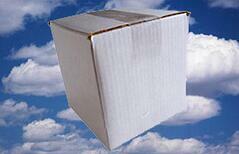 A box on a wall is not that different than a box in the cloud. But if you’re thinking about implementing an electronic suggestion box, that means you’re interested in harnessing great ideas from every member of your team. Good for you. Take your good instinct to the next level by considering technology that gets those ideas outside of the box and into your business processes. Download this free eBook to learn more about how continuous improvement software trumps the electronic suggestion box any day.